In the beginning we really had a feeling that the wooden made bars are confined to the bars where wine and drinks are served. There has always been a certain charm behind this beautiful wooden creation, this is rather feeling that makes us feel relieved from the hectic routines of life. It makes us feel that as if our tiredness is being relieved while sitting there. 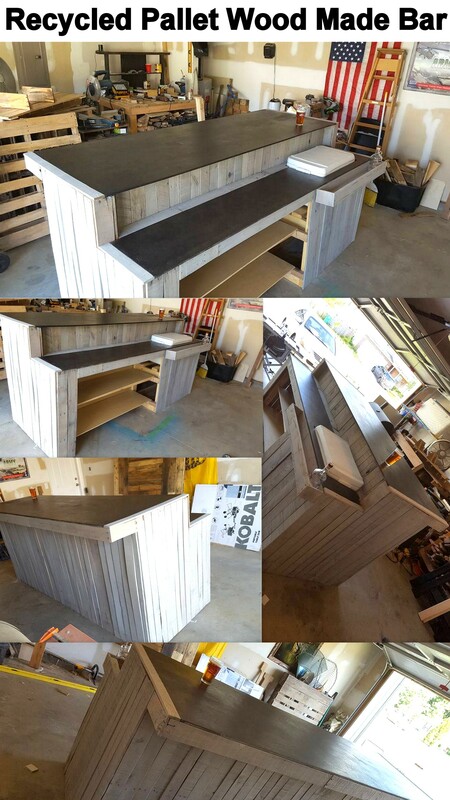 This idea just impressed us so much that we started recycling the bar for the internal use. From that day to onwards we have recycled many pallet wooden bars that we have used inside the house and also in the garden or patios. 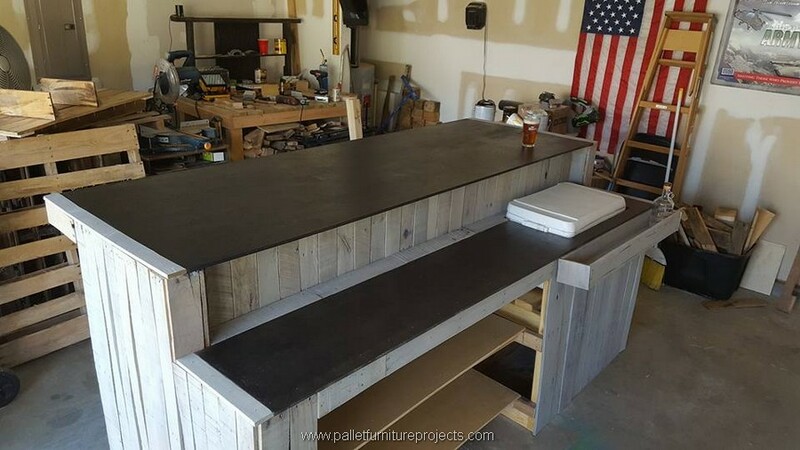 This is the main back view of the wooden pallet made bar. 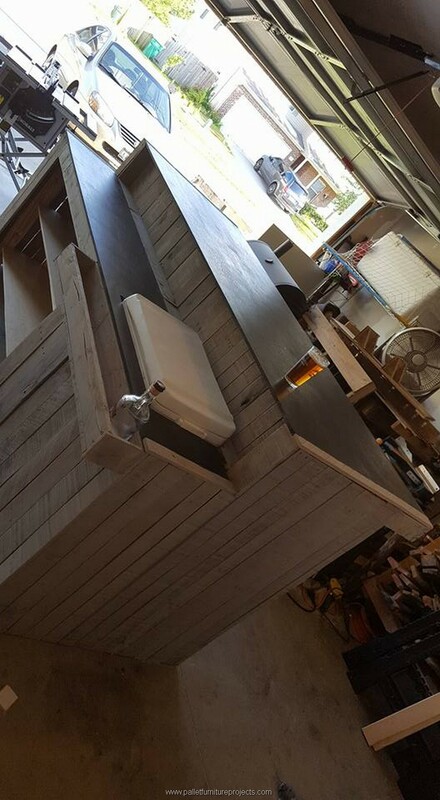 Although it is meant to be used inside the house yet we have been very generous with the design of the pallet wood made bar. 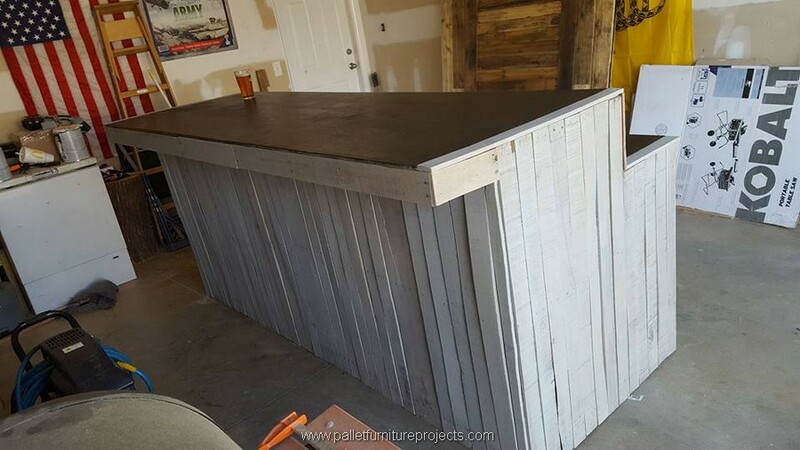 This extra large size of the pallet wood bar would fit in some area where you have got a lot of free space at your disposal. And the place where this is meant to be installed must be pretty wide so that congested feeling is prevented. So first make up your mind that where exactly you are going to pace it. 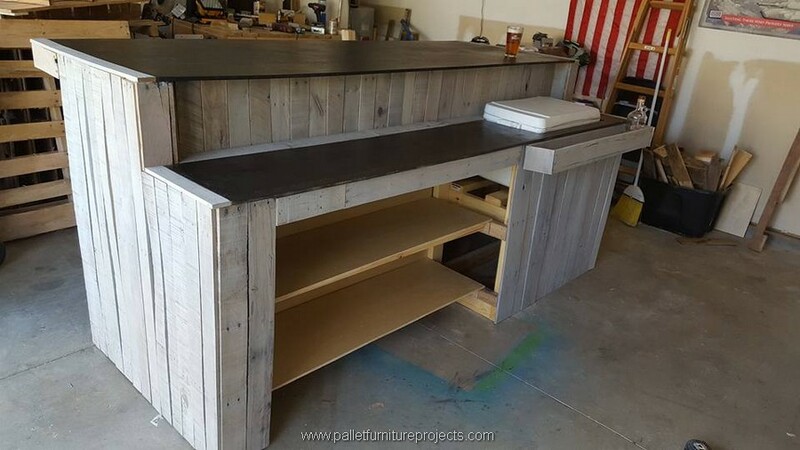 Looking at the front racks that are excessively smart and stylish and give a feeling of a perfect bar like we see here proper grills where wine bottles could be placed. It has got a plain and smooth top which gives a very ravishing feeling. If we talk about the material of the timber that we have consumed here, that isn’t extra ordinary at all. Infact having a closer look we realize that the shipping pallets were pretty aged yet we have done such a smart finishing on it that all the expected flaws are camouflaged. 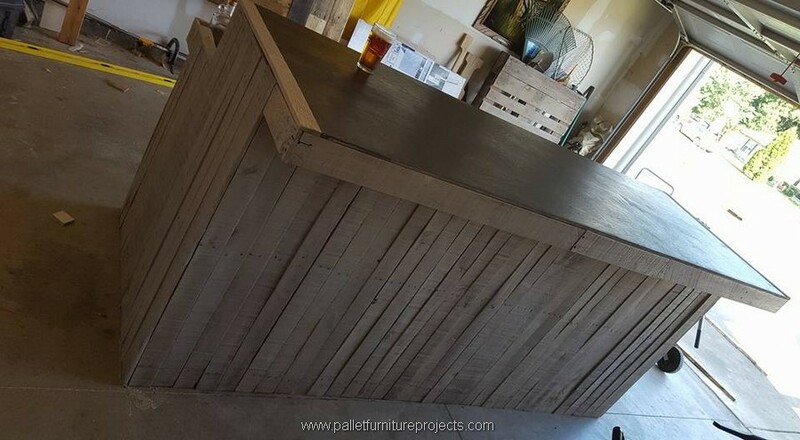 Let me suggest you guys something, if anyone of you is intending to try this wooden pallet bar. First of all you must bear in mind that it is going to require a lot of place, so if you haven’t got that much space you must use it somewhere in the garden or patio. Secondly it is a huge wood pallet creation, for this you have to arrange a lot of shipping pallet supplies. Once all of these matters are observed, good luck with your project. In the end you would be rewarded with its beauty and class.